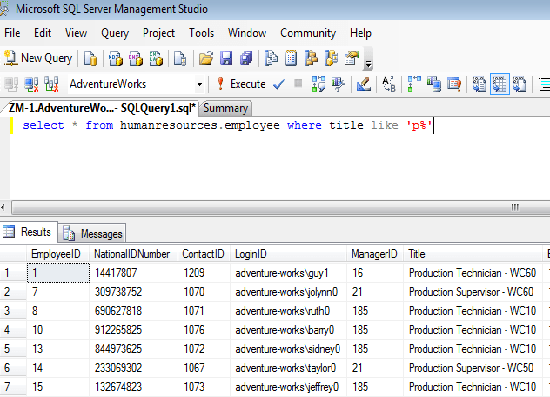 SQL wildcard statement is used with like statement to retrieve the specific data from the records. You can display records according to your requirement with the help of wildcards. 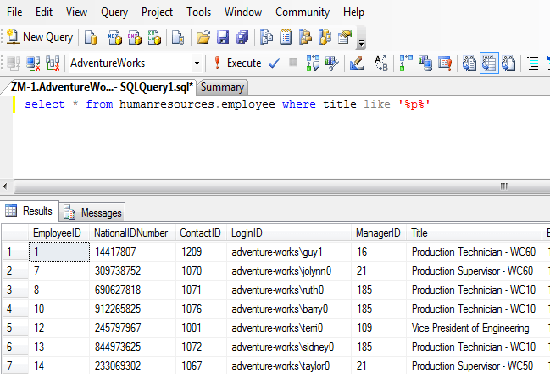 In the given example 1, % is wildcard which is used with like statement to retrieve selected data from database. In the given example 2,%% is also a wildcard which is used with like statement to retrieve selected data from the database. In this chapter you have learned about wildcard so now it’s your responsibility to use this statement for your practice. In the next chapter you will learn about aliases.